Words cannot describe the feeling of being in an airport headed to another country and trying to learn and understand it all for the first time. Getting lost in your own country’s airport is one thing, but to do it in a foreign country is a completely new challenge! Luckily I found my gate with some time to spare to snap this photo before boarding! 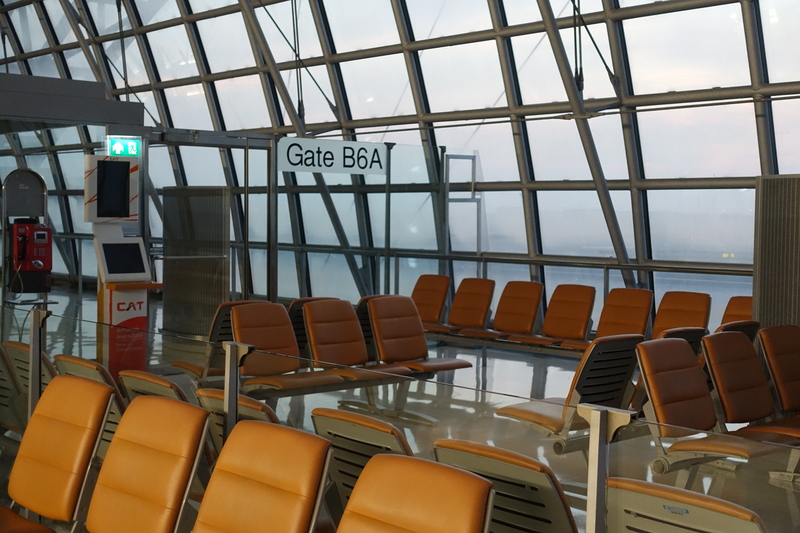 Navigating the airport in LA to find my terminal was a task in itself, but when I arrived to Bangkok’s International Airport without a single soul to help me, things got even more difficult. I felt lost! Isaac and Linda! My 2 awesome seatmates that helped and walked me through my first flight! Thanks to you both so much!! 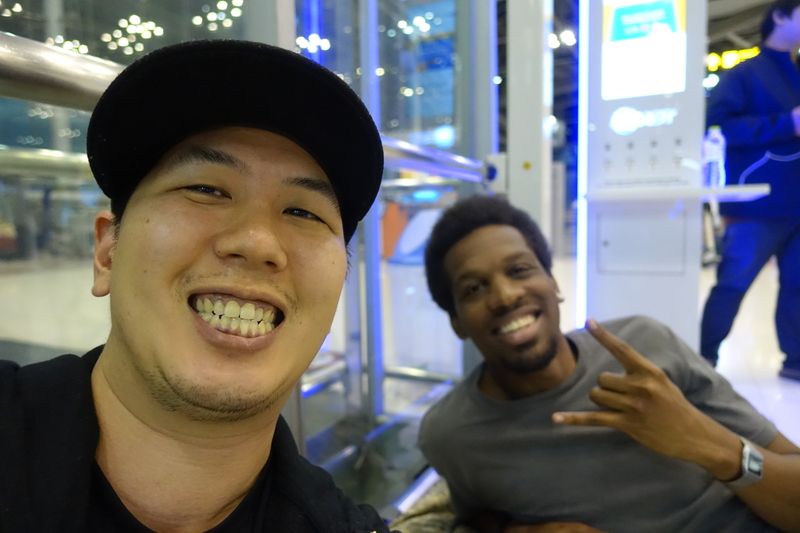 After some pacing back and forth between terminals trying to find out where my next connecting flight was, I luckily found a super nice guy named Jay (who spoke English!) and helped educate me on how to get Wi-Fi at the airport, as I was literally lost without the internet. After speaking to him for a bit, we both realized that our connecting flight’s weren’t for at least another 6 to 7 hours so we spent our time talking about our lives and hanging out to pass the time. After waiting until 7am or so for my connecting flight into Chiang Mai, I was finally ready to head out! Shout outs to my new buddy Jay from Japan! til next time my friend! I contacted my friend, Bob, who recently moved out this way for work, to meet me at the airport and take me back to his condo that I would be renting for a few weeks. After an amazing lunch prepared by his girlfriend Meena, I took a short nap and prepared for the evening. I couldn’t wait to experience all my crazy adventures ahead! 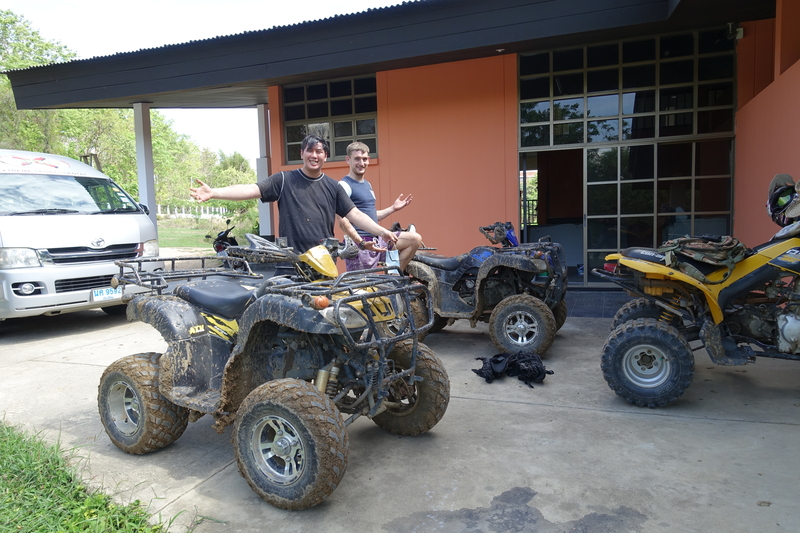 Bob and myself posing next to our ATV’s after going through a crazy jungle ride and race track! While in Thailand, I got to visit the Chiang Mai Zoo, see the Huay Kaew Waterfall, take a scooter up to the highest point in Thailand, visit several night bazaars, experience the club nightlife in Bangkok, go ATVing, go jetskiing, listen to live music at a few local Thai only clubs, have an amazing dinner on a beautiful waterfront, and so much more. To check out the full story on all the adventures I captured while overseas, subscribe to my YouTube channel where I’ll be uploading vlogs of my trip! My first attempt at working internationally was a moral and mental dilemma. On the one hand, I was here in Thailand to take my first ever REAL vacation, but on the other hand I still had a business to run. Fortunately with David Vu’s eBay Dropshipping Business Model, I was still able to make the time to do both every day and managed to enjoy my vacation to the fullest. 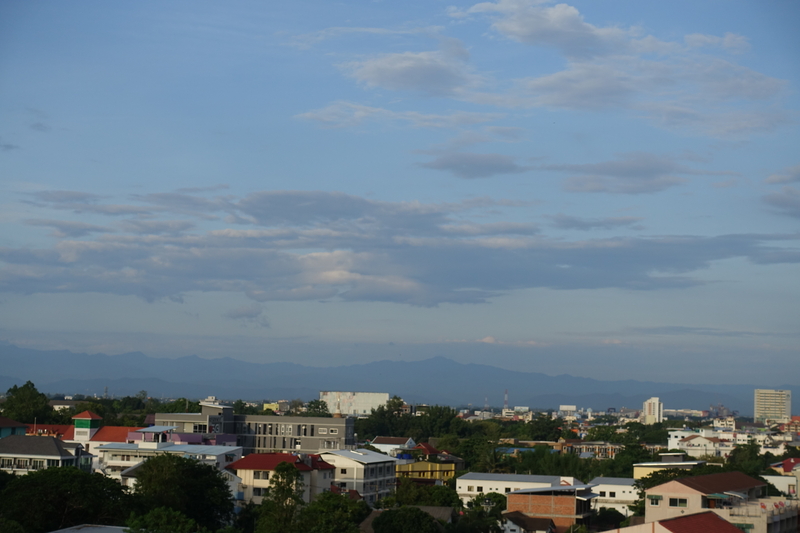 The view from our rooftop every morning. Loved coming up here to check out the city! On most mornings, from the time I woke up til about noon, every day was spent on eBay tasks, meetings, or working on my social media. From noon til the rest of the evening, I would go out to find new places to eat or explore a different part of Chiang Mai that I had heard about or planned on visiting. 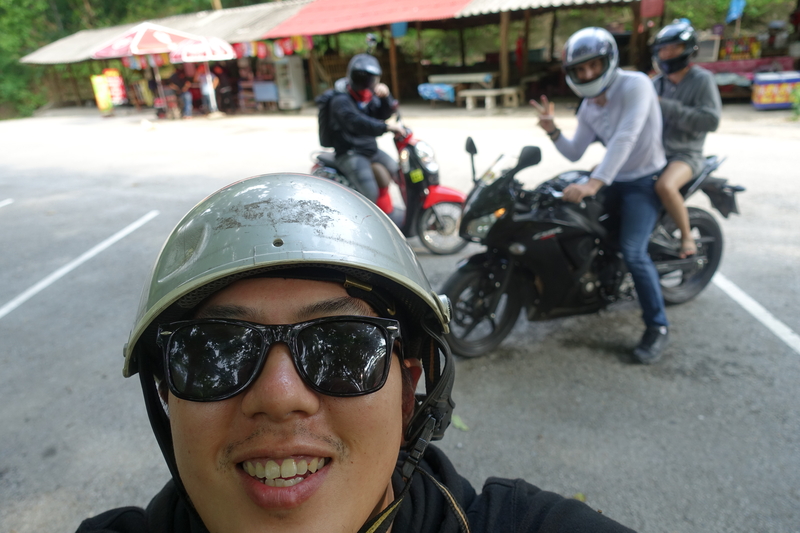 Grabbing a photo after a long day of sightseeing in the Doi Ithanon mountains with our scooters and motorcycles! When I returned late in the evenings each night and due to the time difference in the US, it was always the perfect opportunity for me to make my customer service calls since they were just getting into the office in the states at that time. 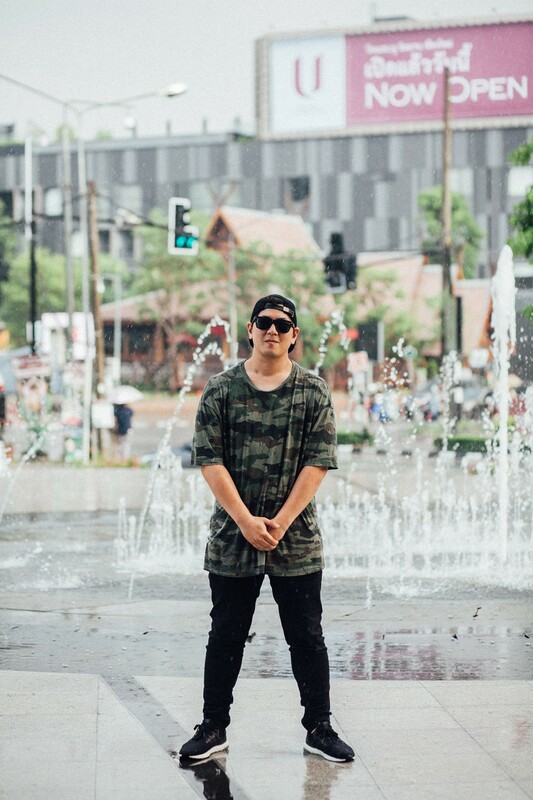 Cool photo courtesy of my new Thai buddy, Aof (IG)! We snapped this picture during a cosplay competition at one of the local malls in Chiang Mai. Had a good time being awkward next to so much talent but it was hilarious! Although the internet did disconnect from time to time, the cost of living in Thailand is unreal and more than made up for it. I highly recommend you visit the country at least once in your life just to experience what a wonderful (affordable!) and amazing place it is. 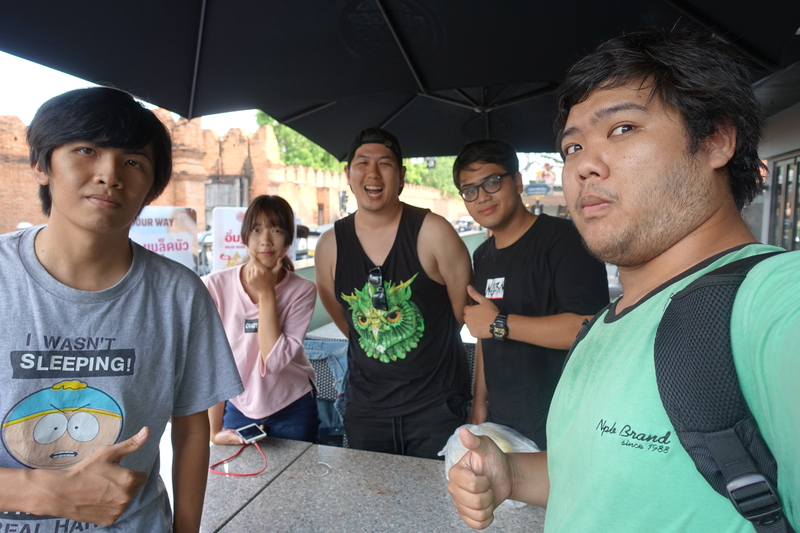 Thai culture in Chiang Mai is very courteous and helpful by nature, so getting around and just meeting people in general is an extremely easy and rewarding task in itself. That’s probably the one thing I miss about Thailand the most; the people! I met SO many friendly faces out here and even exchanged contact information with some of them. My new buddy Ball (left) took me home on his motorcycle the first day I met him after I got stuck at the mall without Uber. We became really good friend’s after his generous act and I’ll miss him and his friends very much. Here we are meeting up one last time at Burger King for lunch with him and his friends before I left for Korea. I’m happy to call these new people my friends and I can’t wait to visit them again on the next go around. Thanks for making it such a wonderful experience for me, everyone! After spending 3 weeks in Thailand, I had 1 week left of my trip reserved to visit my other friend Jay who had recently moved out this way. To make seeing each other more convenient, I rented out a small room in a guesthouse near my friend’s place in the city of Itaewon, a popular destination for a lot of foreigners. One thing that immediately caught my attention was the cost of living here compared to Thailand. For the amount I spent on a 1 bedroom guesthouse for 1 week here in Korea, I was able to afford a 2 bedroom condo for 3 WEEKS in Thailand. What an eye opener that was! My guestroom for the week while here in Itaewon. 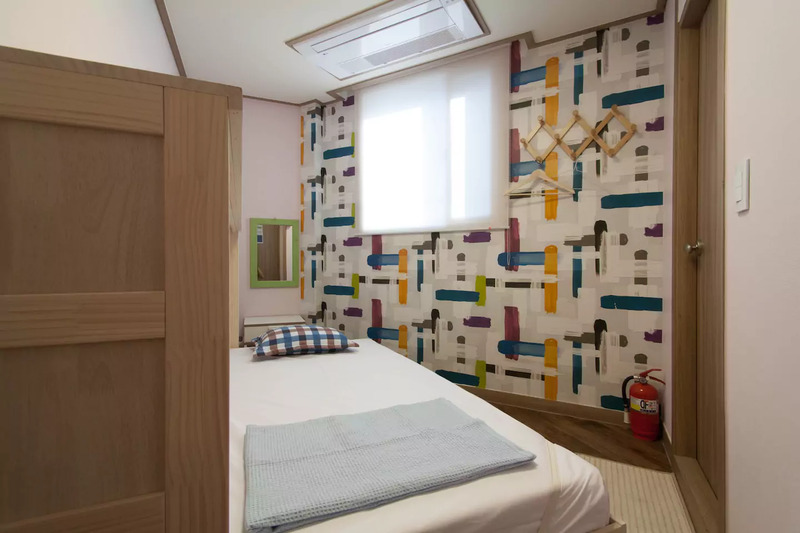 Cube Guesthouse on AIRBNB is a great central location and I highly recommend staying there if you want a great experience of simple modern Korean life! Every morning, I would walk around the corner to a local coffee shop that had good Wi-Fi for me to work off. I ordered an Americano to help get my day going and processed a few orders / answered some customer service questions before heading out to explore the city each afternoon. Little did I know that, in Seoul, the preferred method of transportation is by subway. Learning how to navigate this was a somewhat complicated system in itself but was made easier by using the KakaoMetro app for mobile phones. 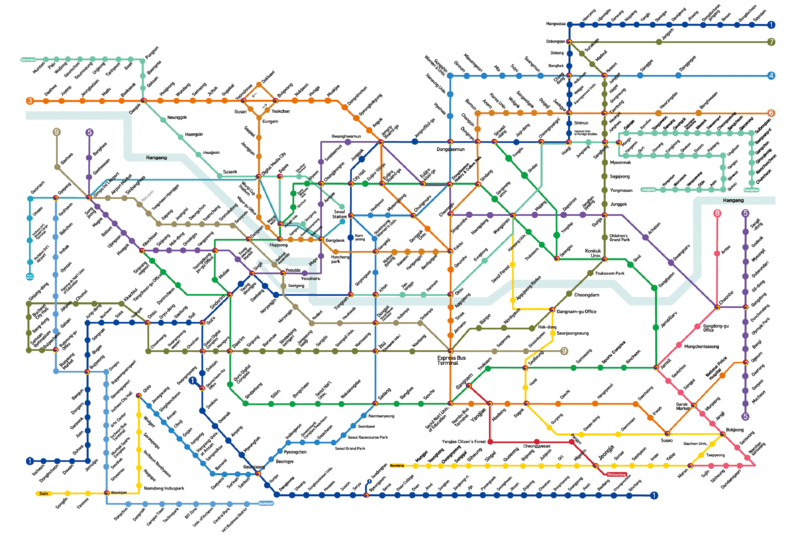 Korea’s subway system is easily one of the most efficient and cost effective ways to get around town. The map is a little daunting at first but once you understand it, it’s actually quite simple. Once I got this app and got the system down, getting around was such a breeze and at such an affordable cost per trip (about $2 to $3 per trip to get basically anywhere around town)! Be sure to download this before your next trip to Korea if you plan on visiting! My limited time here in Korea was spent checking out popular street markets in Myeongdong and Hongdae, visiting Gyeongbokgung Palace and Bonchon Honok Village (Old Village) with a new French friend named Guillame, visiting a music game arcade and a local fighting game grounds called Aninori with my new Brazilian friend Gaston, and eating at the best recommended places in the area. Unfortunately I didn’t make too many Korean friends while out here, but that was mostly due to time constraints and prior obligations with my friend that I was visiting. I still had an amazing time with Jay, his girlfriend, and all of their friends and am glad I made it out this way to visit them. They made an effort to try and show me the best places in the area every night and a small part of Korean culture and I couldn’t be more thankful I got to spend my time with such an amazing group of people. Myself, Jay, his girlfriend Nadine, and their friend Lisa. 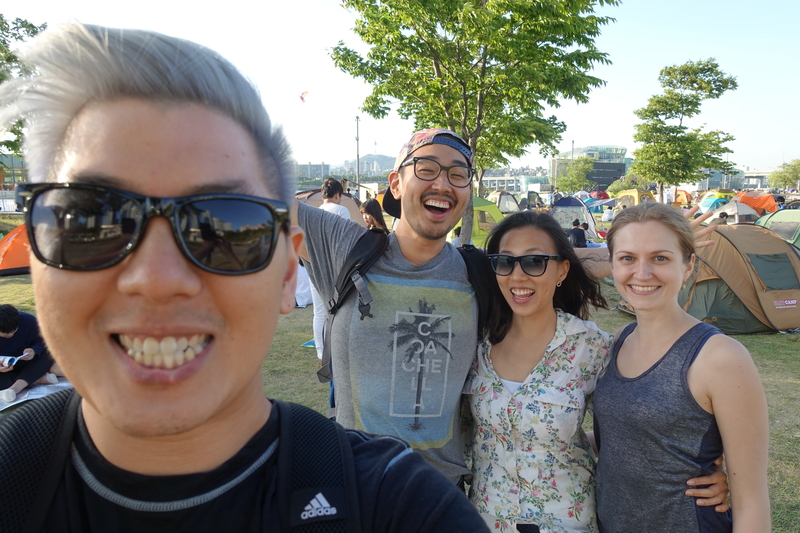 Had such a good time at the park for a picnic and soaking Korea in! Oh, and I even dyed my hair! Now, that we’re all caught up with some of the interesting stuff I learned and did on this trip, let’s jump right in to the income report for the month of May! My eBay business performed better than it did the previous month, which I am very happy to report. After making a few adjustments to my listings and with the launch of my second store this month, I’m hoping to increase my profits even further for the future. I’m ready to take the reigns and work on growing my business again now that I am back in business mode. Being at 100% feedback again after being stuck at 99.X% for what seems like forever has been a welcome addition to my store. This is something that I am very proud of considering the mistakes I made in the past that brought my rating down to the mid 90’s before. Customer service must always come first before profits! 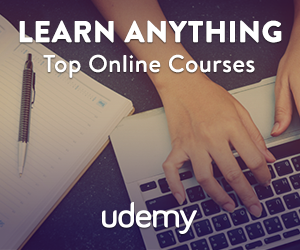 If you’d like to learn more about how you can start your own dropshipping business, be sure to check out David Vu’s Udemy Course on eBay Drop Shipping with No Inventory. I also provide eBay store analysis and consultation services which you can learn more about at eDropshipEmpire.com. Cashback has been coming from TopCashBack and GivingAssistant this month as they are still the best overall websites to use for my business due to my sources. Make sure to check out CashBackMonitor.com to find out which website to use before you make your next purchase, but always make sure to check yourself as results aren’t always 100% accurate. If you haven’t started using free cashback yet, be sure to check out my article on how I made $2000 shopping online. Did you know you can even earn cashback now with in-store purchases? You can even stack them with Credit Card Bonuses like I do to earn miles / points! Check it out! Affiliate and other miscellaneous forms of income have been steady but I’m hoping to ramp that up this year as I start to work with more dropshipping clients through my consultation business at eDropshipEmpire. Gift card profits were definitely my winner this month as I recently started getting more active with purchasing them. In the month of May, I made it a goal to learn how to work remotely for the first time. Did I succeed? Overall, I would say that I did alright. 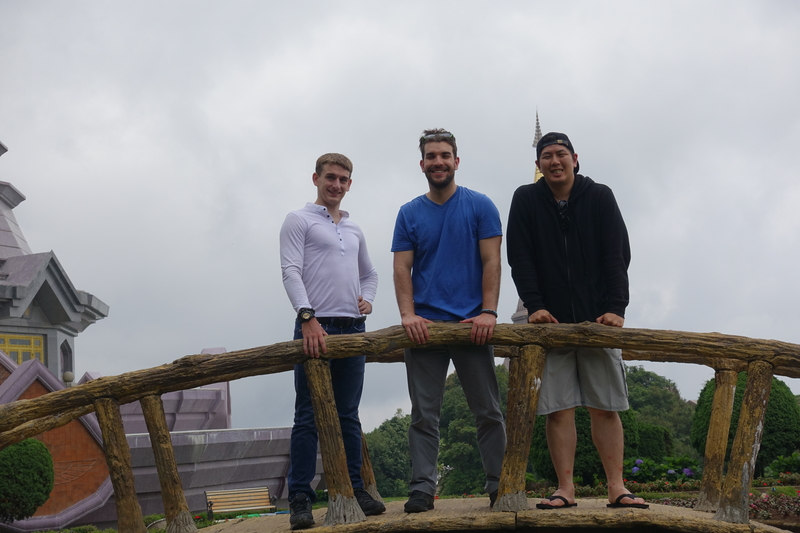 Bob, Eric, and myself posing on a bridge at one of the temples up in Doi Ithanon mountain, the highest point in all of Thailand! Special thanks to the help of my awesome friends Bob Pruss and Eric Taylor who motivated me every day with their awesome work ethic and drive every day when we worked together in Chiang Mai! After being gone for an entire month, something definitely also sparked inside of me that made me want to work even harder when I got back. 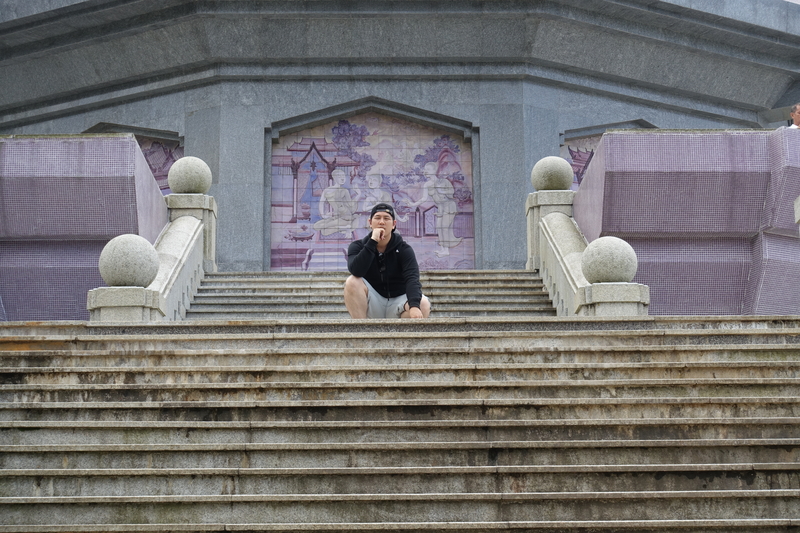 Pondering life in front of one of the temples in Doi Ithanon! For eBay next month, I’d like to grow my store to at least 8,000 listings and work on launching my second store. Having this second store will allow me to refocus on a different category and give myself a fresh start on the right foot with all the knowledge I’ve gained building my first one for the past 2 years. I can’t wait to see the results of this store after some proper elbow grease! Want to check out my adventures in Asia? Subscribe to my YouTube channel! You mentioned starting a second store focused on a new niche/category. Does your first store sell in a specific niche per se? Or does it sell anything and everything?